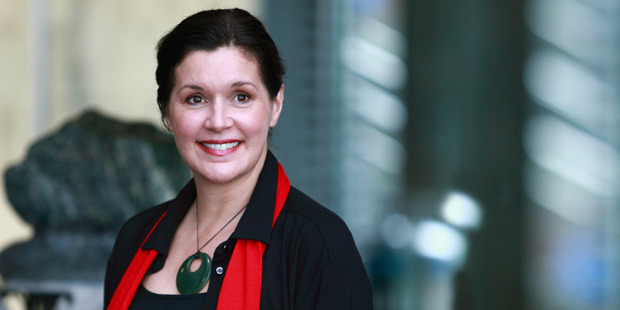 ­Dr Chellie Spiller, (hapū Matawhaiti Iwitea, Ngāti Kahungunu ki Wairoa), is based in Auckland and is a professor at the University of Waikato Management School. Chellie is a passionate and committed advocate for Māori Business development. Her vision is to create relational wellbeing and wealth across spiritual, environmental, social, cultural and economic dimensions. Creating transformation in people, enabling them to claim their rightful place in the world, and to embody their sense of self. Chellie’s leadership qualities are nourished by her academic achievements. Chellie was a Fulbright Senior Scholar at the Harvard Kennedy School and the University of Arizona. She is a recipient of a Research Excellence Award, Dame Mira Szászy Māori Alumni Award and National Māori Academic Excellence Award. She is passionate about teaching on the postgraduate diploma in business administration (Māori development) where she specialises in management and governance. She is a co-author of the book Wayfinding Leadership: Ground-breaking Wisdom for Developing Leaders, with Hoturoa Barclay-Kerr and John Panoho, published in 2015 by Huia. ‘Wayfinding Leadership’ training programmes are growing and are currently being taught in a variety of domains such as Air New Zealand’s middle management training programme, Global Women’s Breakthrough Leadership course, the judiciary and in the health sector. Chellie speaks locally and internationally on Wayfinding Leadership, authentic leadership, governance, leadership and decision-making, and how businesses can create sustainable wealth and wellbeing. In 2013 her co-edited book with Donna Ladkin, Reflections on Authentic Leadership: Concepts, Coalescences and Clashes, was published by Edward Elgar Press. She is also co-editor of the book Indigenous spiritualties at work: Transforming the spirit of business enterprise with Dr Rachel Wolfgramm published in 2015 by Information Age Publishing. She has over thirty years of corporate experience in tourism, finance and marketing, holding senior executive positions in New Zealand and abroad, Chellie brings this experience to her leadership within academic work within leadership and management development programmes. She has created and led tour programmes into countries as culturally diverse as Bhutan, North Korea, Myanmar, Indonesia, Vietnam and India. Key influencers for Chellie include, her grandmother Wikitoria Wairakau Te taite Whare Atkinson along with other Māori elders, including Jane Marsden (Ngā Puhi) and Pereme Porter (Ngā Puhi), who, along with her mother Monica Stockdale, have mentored and guided Chellie to embody the human qualities of humility, generosity, grace, wisdom, humanity, deep faith and service in their leadership. Her father influenced her from an early age, Tony Stockdale was an explorer of the universe and imparted his love of cosmology and philosophy to Chellie. Her husband Roger Spiller a well-known advocate for responsible investment and business ethics has been a supportive foundation to Chellie’s success. She is an ardent and receptive learner of the karanga and moving through the world in a wairua way. In this fast-paced business world Chellie’s transformational leadership vision, kaupapa, is bringing humanity and spirituality back into the workplace, empowering people to create both cultural and economic business success both locally and globally. 2018 Guest speaker at Harvard University on "What is a great leader"
SPILLER, C., KERR, H., & PANOHO, J. (2015) Wayfinding and Leadership: Groundbreaking wisdom for developing leaders. Wellington. Huia Publications. LADKIN, D., & SPILLER, C. (Eds.) (2013) Reflections on Authentic Leadership: Clashes, Convergences and Coalescences. Cheltenham, UK. Edward Elgar Press. Waddock, S., McIntosh, M., Pio, E., Spiller, C., & Neale, J. (2016). Intellectual Shamans and Wayfinder Scholars: Academics and System Change. Journal of Corporate Citizenship. SPILLER, C. (2016,). Calling the island to you: becoming a wayfinding leader. University of Auckland Business Review. SPILLER, C., & STOCKDALE, M. (2013). Managing and leading from a Māori perspective: Bringing new life and energy to organizations. J. Neale (Ed. ), Handbook for faith and spirituality in the workplace. New York. Springer Publishing Company. SPILLER, C. (2012). Wayfinding in Strategy Research. C. Wang (Ed. ), West Meets East: Challenges and Opportunities for Research Methodology in Strategy and Management. Bingley, United Kingdom. Emerald Insight. Wayfinding requires that we become ‘explorers of our world’ seeking to discover and shine light upon that which is not seen. To become an explorer of the world is to set sail beyond the compass of our existing knowledge and to traverse uncharted waters in ourselves and in the world.